"ISTAR" redirects here. For other uses, see istar (disambiguation). Information is collected on the battlefield through systematic observation by deployed soldiers and a variety of electronic sensors. Surveillance, target acquisition and reconnaissance are methods of obtaining this information. The information is then passed to intelligence personnel for analysis, and then to the commander and his staff for the formulation of battle plans. Intelligence is processed information that is relevant and contributes to an understanding of the ground, and of enemy dispositions and intents. ISTAR is the process of integrating the intelligence process with surveillance, target acquisition and reconnaissance tasks in order to improve a commander’s situational awareness and consequently their decision making. The inclusion of the "I" is important as it recognizes the importance of taking the information from all the sensors and processing it into useful knowledge. There are several variations on the "ISTAR" acronym. Some variations reflect specific emphasis on certain aspects of ISTAR. A term used when emphasis is to be placed on the sensing component of ISTAR. A term used by the US Army in place of STAR or ISTAR. Also, a term used to identify certain US Army units: for instance, 3rd Squadron, 153rd RSTA. These units serve a similar role to the belowmentioned US Marine Corps STA platoons, but on a larger scale. A doctrine similar to ISTAR. ISR is the coordinated and integrated acquisition, processing and provision of timely, accurate, relevant, coherent and assured information and intelligence to support commander’s conduct of activities. Land, sea, air and space platforms have critical ISR roles in supporting operations in general. By massing ISR assets, allowing a period of immersion, developing layering and cross cueing of sensors, an improved clarity and depth of knowledge can be established. ISR encompasses multiple activities related to the planning and operation of systems that collect, process, and disseminate data in support of current and future military operations. 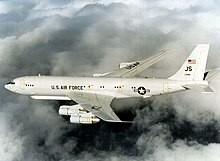 Examples of ISR systems include surveillance and reconnaissance systems ranging from satellites, to manned aircraft such as the U-2, to unmanned aircraft systems such as the US Air Force’s Global Hawk and Predator and the US Army’s Hunter and PSST Aerostats, to other ground-, air-, sea-, or space-based equipment, and to human intelligence teams. The intelligence data provided by these ISR systems can take many forms, including optical, radar, or infrared images or electronic signals. Effective ISR data can provide early warning of enemy threats as well as enable military forces to increase effectiveness, coordination, and lethality, and demand for ISR capabilities to support ongoing military operations has increased. In a 2019 Broad Agency Announcement for space-based targeting sensors, the US government defined ISR in this case as "a capability for gathering data and information on an object or in an area of interest (AOI) on a persistent, event-driven, or scheduled basis using imagery, signals, and other collection methods. This includes warning (to include ballistic missile activity), targeting analysis, threat capability assessment, situational awareness, battle damage assessment (BDA), and characterization of the operational environment." Persistence was in turn described: "Persistent access provides predictable coverage of an area of interest (AOI). Most space-based intelligence collection capabilities consist of multiple satellites operating in concert, or supplemented by other sensors, when continuous surveillance of an area is desired. Persistent sensors must provide sufficient surveillance revisit timelines to support a weapon strike at any time." ISR concepts are also associated with certain intelligence units, for instance Task Force ODIN, ISR TF (Company+) in Bosnia, Kosovo and Afghanistan. In the United States, the similar entity is used within their Marine Corps's Surveillance, Reconnaissance, and Intelligence Group (SRIG). The SRIG modelled as a consolidated military intelligence collection agency, most of the gathered intelligence are collected from many sources (i.e. STA Sniper platoons, Marine reconnaissance assets, signal intelligence, etc.). C4ISTAR, a broader concept that also includes Command, Control, Communications and Computers. ^ AJP-3.15(A) NATO Allied Joint Doctrine for Countering – Improvised Explosive Devices. ^ Sandra Erwin (February 17, 2019). "Pentagon seeking proposals for how to use sensors in space to quickly target enemy missiles". SpaceNews.